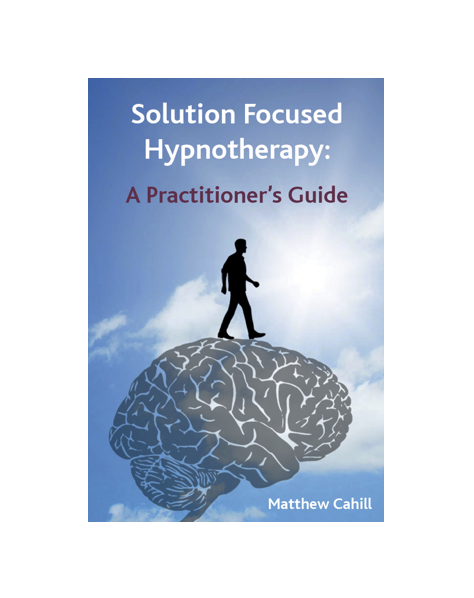 Home / Book1 / Solution Focused Hypnotherapy: A Practitioner’s Guide. Hardback Book. 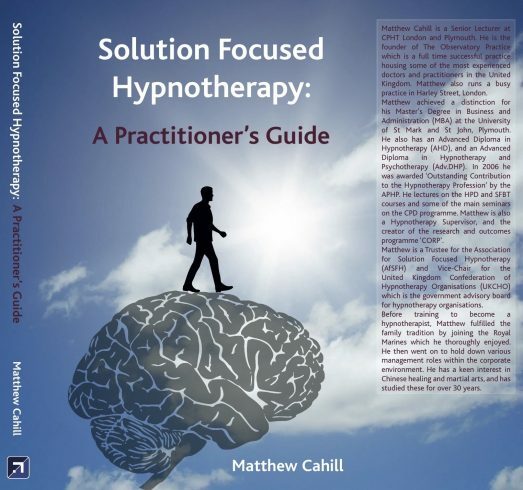 Solution Focused Hypnotherapy: A Practitioner’s Guide. Hardback Book. An amazing insight into the scientific world of Solution Focused Hypnotherapy. 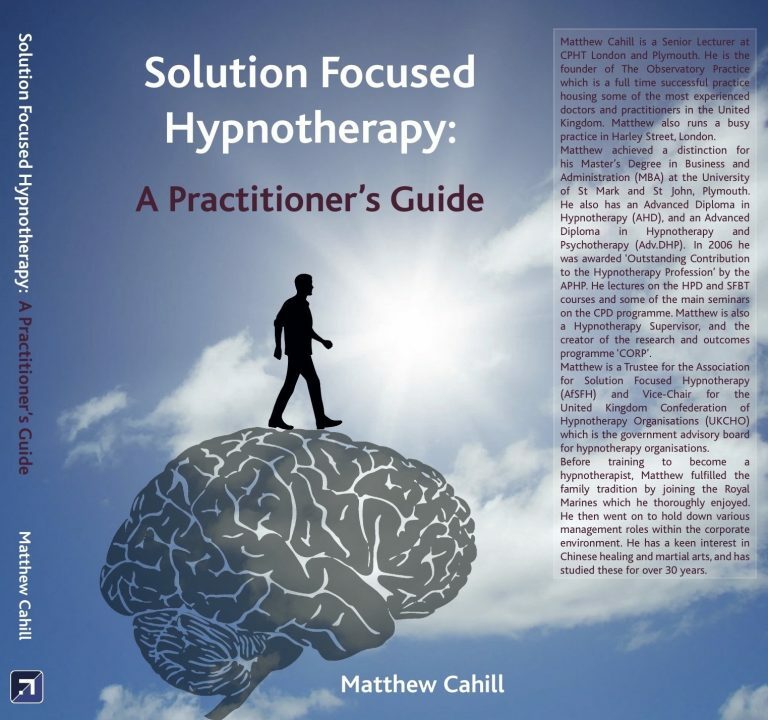 ForWords Publishing are proud to present the eagerly anticipated Solution Focused Hypnotherapy: A Practitioner’s Guide. The first book of its kind, this is the definitive guide to using the theory and practice of this exciting, modern, brain-based therapy within the consultation room. 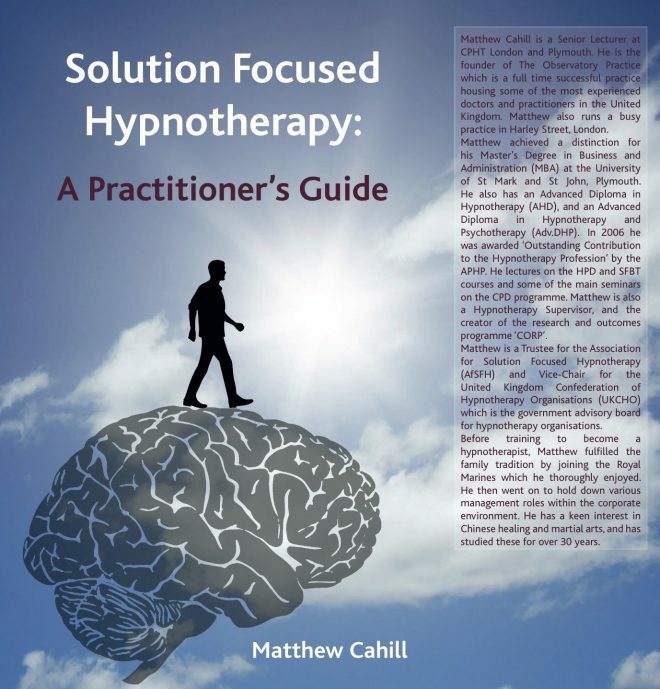 Like every successful person, Matthew Cahill has stood on the shoulders of giants, and this book introduces a therapeutic approach honed through decades of dedicated research and practice. 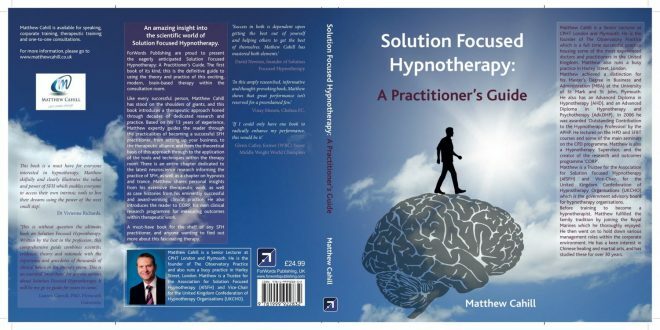 Based on his 13 years of experience, Matthew expertly guides the reader through the practicalities of becoming a successful SFH practitioner, from setting up your business, to the therapeutic alliance, and from the theoretical basis of this approach through to the application of the tools and techniques within the therapy room. There is an entire chapter dedicated to the latest neuroscience research informing the practice of SFH, as well as a chapter on hypnosis and trance. Matthew shares personal insights from his extensive therapeutic work, as well as case histories from his eminently successful and award-winning clinical practice. He also introduces the reader to CORP, his own clinical research programme for measuring outcomes within therapeutic work. A must-have book for the shelf of any SFH practitioner, and anyone wanting to find out more about this fascinating therapy.